The 45,000 sq.ft. 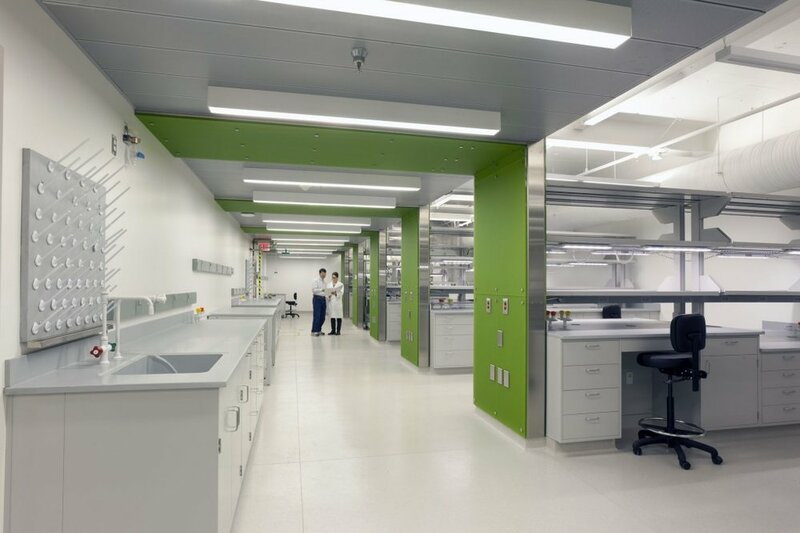 two story facility houses labs, lab support, collaboration spaces, and offices. 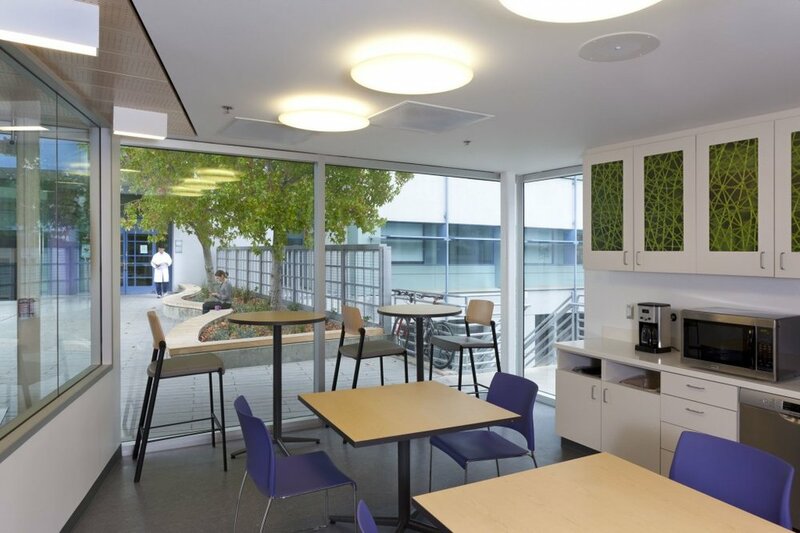 The lab modernization and seismic retrofit project received LEED Platinum Certification with an energy margin of 41% better than the baseline performance. Sustainability measures include high efficiency condensing boiler plant with variable speed pumping, evaporative condensing air conditioning units, solar heating domestic hot water generation, daylight harvesting, and temperature setback by occupancy sensing. Extensive life cycle cost analysis was conducted to assist system selection decision during design. A flexible casework system was specified to allow for maximum flexibility of future modification.